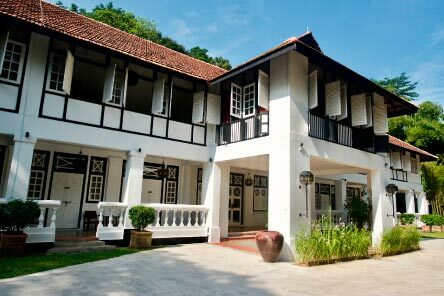 Nestled on the fringe of Labrador Nature Reserve and encircled by lush, tropical greenery, two colonial buildings provide the perfect backdrop for the couple seeking a wedding with a difference. For bookings and enquiries, please contact our wedding specialists at +65 6270 1868 or email events.sg@tamarindrestaurants.com. Relive the romance of yesteryear and tie the knot in a charmingly restored colonial residence. 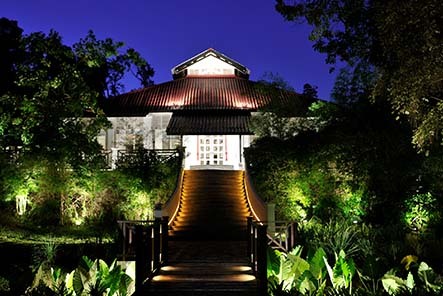 Embark on a journey of enchanting romance amidst Labrador Nature Reserve, where the vastly green surroundings and gastronomic Thai cuisine are certain to lend a distinct flair to your event. Be it an intimate solemnisation with your closest ones, or a grand banquet full of splendour, let us bring your wedding dreams to life. A boutique property featuring 20 alluring rooms and a spacious garden, Villa Samadhi offers the ultimate in luxury, privacy and exclusivity. Offering a one-of-a-kind venue and an unmatched ambience that inspires adventure, hold your celebrations under our rustic-luxe African stretch tent.